98 Q&A: Do We Need Another Seismic Company? Political tension in Sudan may add to market tightness. 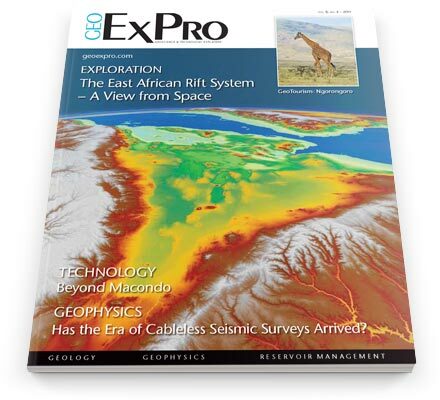 In the past two issues of GEO ExPro (No. 2 and 3, Vol. 8), we looked at the profiles of John D. Rockefeller and Ida Tarbell; in this final part of the article, we review the growth and fate of the Standard Oil Company, which, as we will see, remains the great-grandfather of the major US oil companies today. Do We Need Another Seismic Company? New kid on the offshore seismic block, Dolphin Geophysical, started trading in 2010 and has been growing steadily ever since. But with a few notable exceptions, seismic companies seems to come and go with great rapidity, so does the industry need yet another? We ask Atle Jacobsen, Chief Executive Officer of Dolphin, to answer this question. New long offset seismic data provides insight into the petroleum potential and structure of the Eastern Gulf of Mexico. Active listening to passive seismic pays off for shale plays. As this edition of GEO ExPro magazine bears out, some of the most exciting areas in the oil and gas industry at the moment are in Africa; and not the traditionally ‘oily’ places, like the Niger Delta, equatorial West Africa or the Libyan Desert, but previously disregarded regions like the West African transform margin, presalt Angola and the east African Rift Valley – the latter featuring on our dramatic front cover. Cableless systems have been the long-time dream of exploration seismic for many years. Has it finally been attained?